builds relationships with property owners, government agencies and community organizations to help clients become self-sufficient, so they can remain stably housed and thrive in all aspects of their lives. 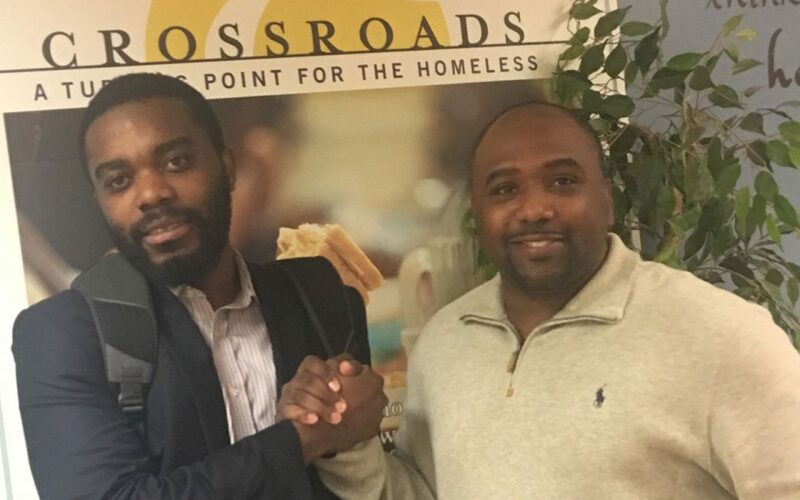 And as a pivotal partner in providing the transition to safe and supportive housing for more than 250 residents of the Peachtree and Pine shelter, their team assisted a number of Crossroads guests including Joseph. Through the Crossroads Connect program Joseph worked as the lead kitchen manager at the shelter, where he was responsible for the daily operations, including cleanliness and serving meals. Today he has a full time job with Goodwill of North Georgia. “Crossroads & PCCI changed my life. They gave me an opportunity when no one else would and today I have my own house.”, said Joseph.